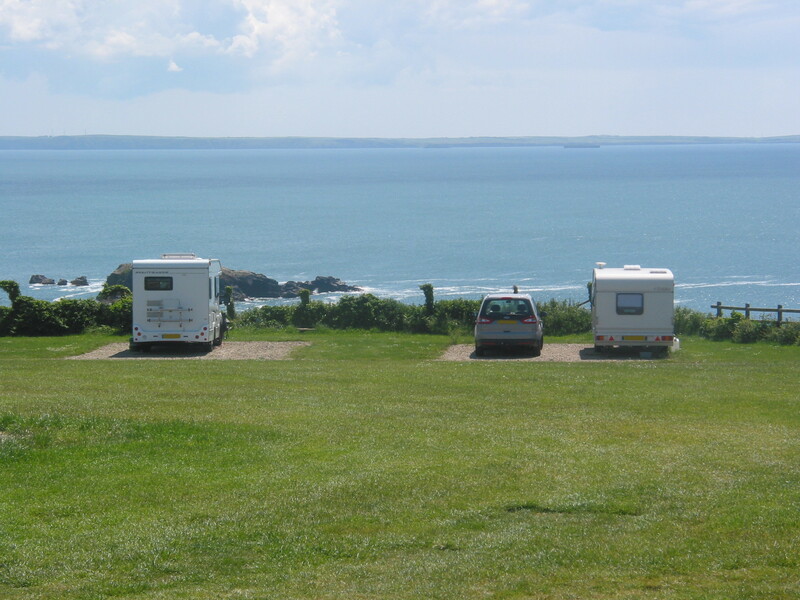 Caerfai Bay Caravan Park is located in our first field Hanner Guinea (half a Guinea). 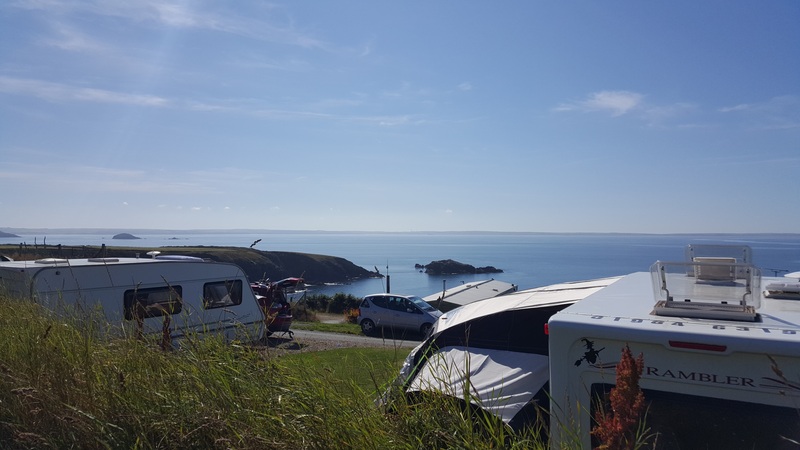 We have 25 touring caravan/motorhome pitches all with electric hook ups (10 amp / 2.5kW maximum) and beautiful views overlooking the Pembrokeshire coast. 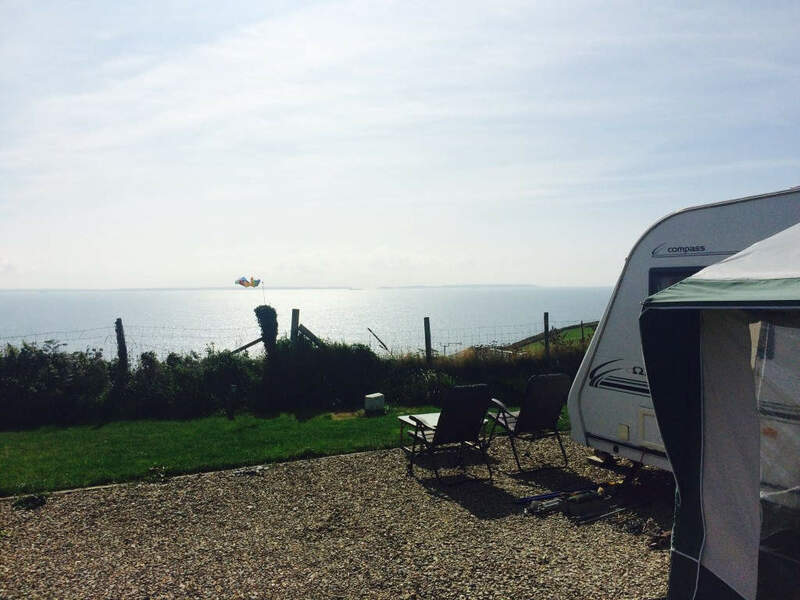 Touring Caravan or Motorhome Hardstanding Pitches, with Electric Hookup and Awning in Field 1. 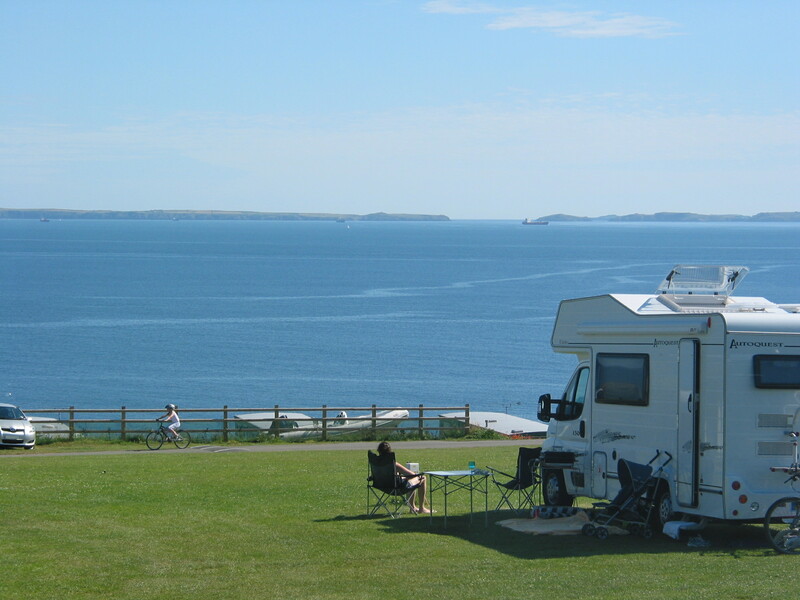 These hardstanding pitches are suitable for a touring caravan with an awning or a motorhome. Each pitch has an electric hook up facility which is included in the nightly rate. Shared water points are within 20 yards of each pitch. 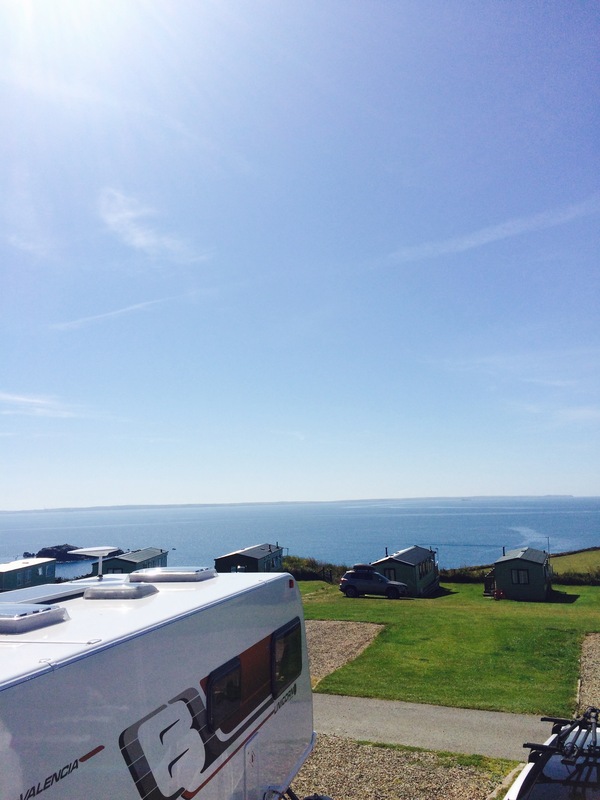 Pitches at the front of the field enjoy an unrestricted panoramic view of the sea and several pitches have hedging to rear and side for increased privacy. Various short stays can be booked throughout the year, however we only accept 7 night bookings (or multiples of) during the main holiday season, with arrivals on Saturday. Outside of school holiday time, shorter stays are bookable. Prices shown are based on two persons, caravan/motor-home, car and are inclusive of electric hook up. 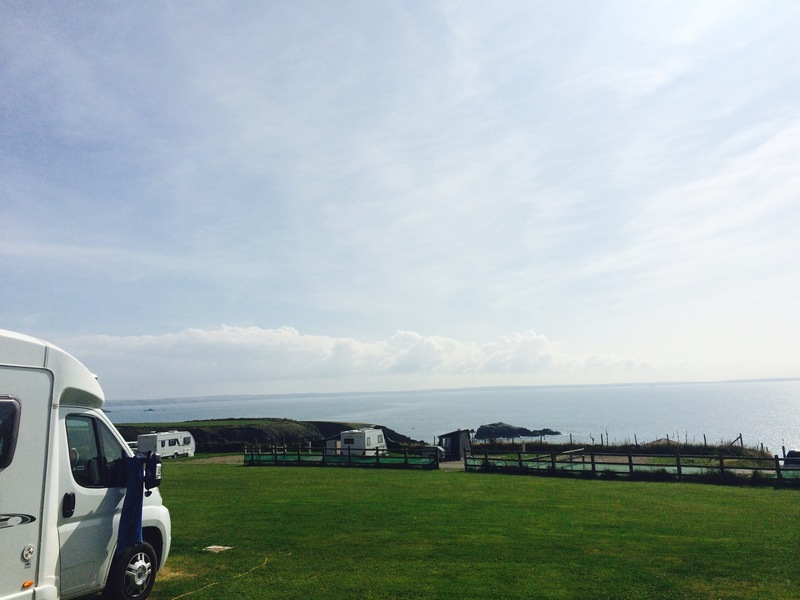 Touring Caravan or Motorhome Grass Pitches with Electric Hookup and space for Awning. Please note drive-away Motorhome awnings are not permitted in Field 1. 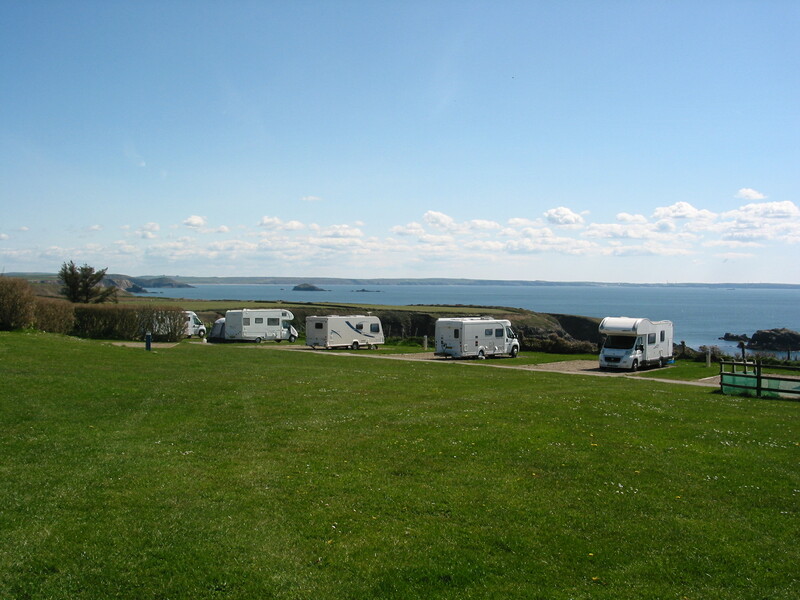 These grass pitches are suitable for a touring caravan with an awning or a motorhome. Each pitch has an electric hook up facility which is included in the nightly rate. Shared water points are within 20 yards of each pitch. Various short stays can be booked throughout the year, however we only accept 7 night bookings (or multiples of) during the main holiday season, with arrivals on Saturday. Outside of school holiday time, shorter stays are bookable. 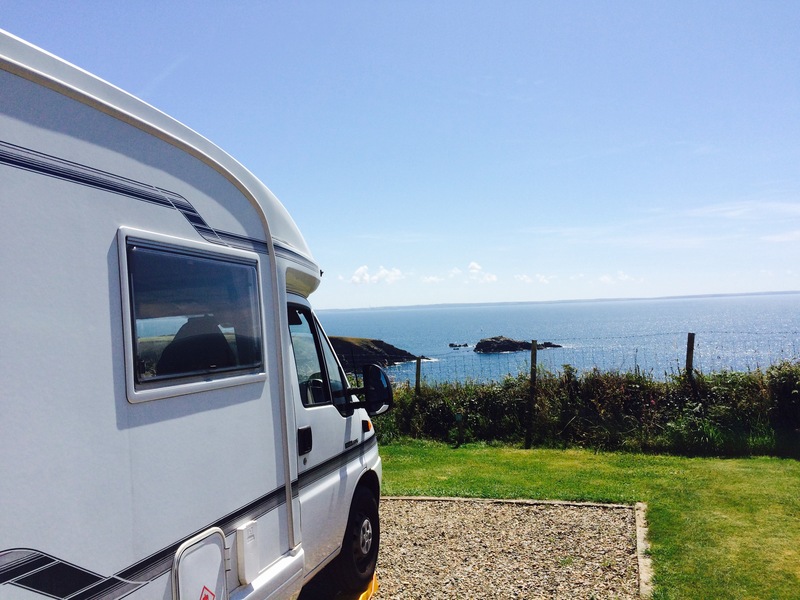 Prices shown are based on two persons, caravan/motorhome, car and are inclusive of electric hook up. Touring Caravan or Motorhome Grass Pitches with electric hookup. 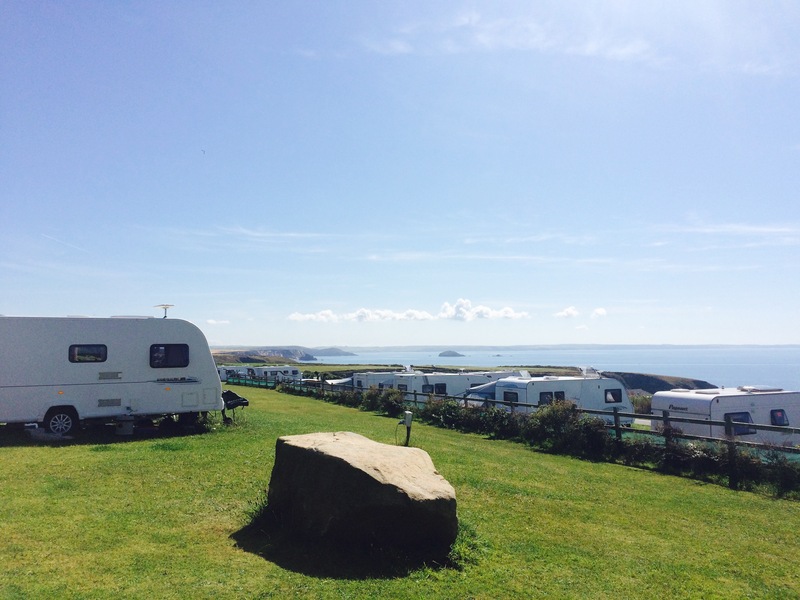 These grass pitches are situated above the crescent in the caravan field with beautiful views over the park towards the sea. 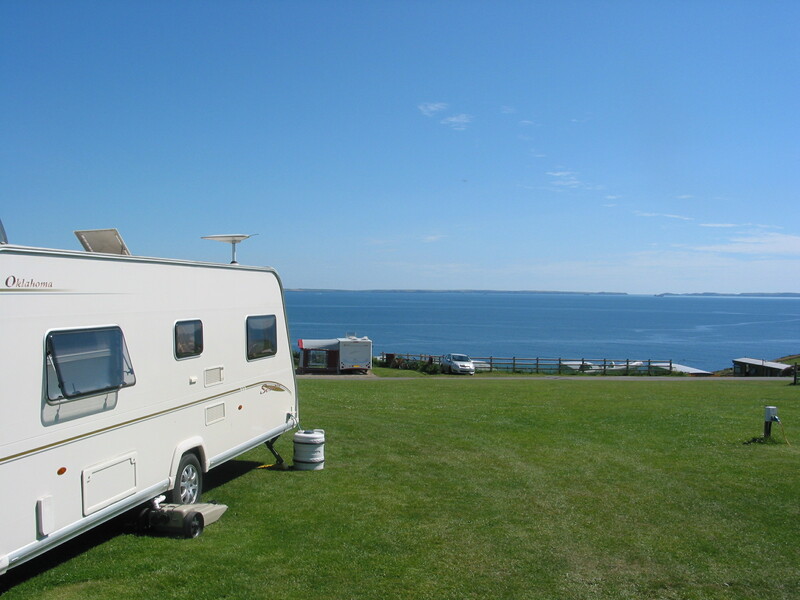 Each pitch is suitable for a touring caravan without awning or a motorhome. 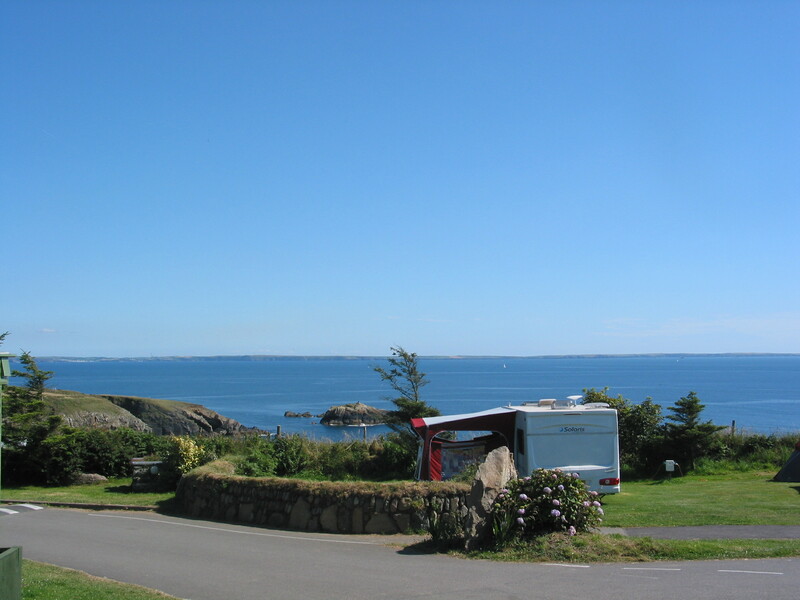 Each caravan pitch has an electric hook up facility which is included in the nightly rate. Water points are within easy walking distance from the pitch (approximately 20 yards) and the pitches are near to the amenities and shower blocks.